The Polaroid Years: Instant Photography and Experimentation is a look back at the power of instant film (PHOTOS). 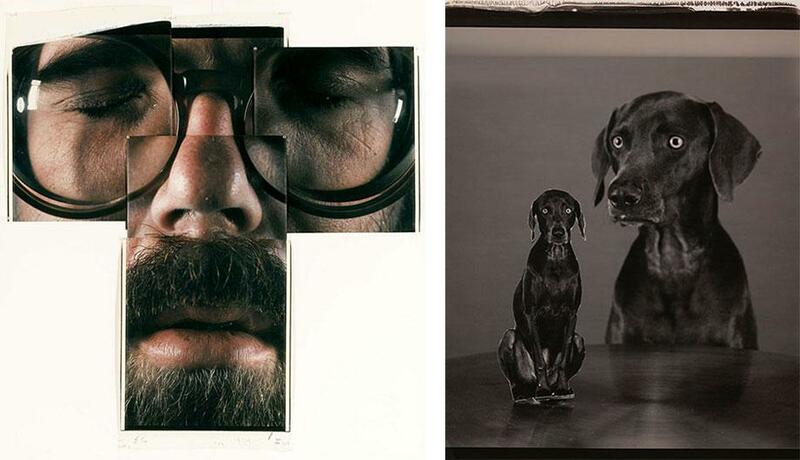 Left: 5C (Self-Portrait), 1979, five large-format Polaroid Polacolor prints by Chuck Close. Right: Splitting Image, 2005, large-format Polaroid print by William Wegman. Left: Copyright Chuck Close. Courtesy of Frances Lehman Loeb Art Center at Vassar College. Right: Copyright William Wegman. Courtesy of Marc Selwyn Fine Art. All images from The Polaroid Years: Instant Photography and Experimentation. Even before the massive surge in popularity of cellphone cameras and Instagram, the use of Polaroid had already declined to the point that the company ceased production of their instant magical film in 2008. Paying homage to a very specific part of the company’s history, The Polaroid Years: Instant Photography and Experimentation, published in May, examines the history of the film from its beginnings in 1947 and the use of Polaroid by artists experimenting with the product. In the book’s introduction, The Polaroid Years exhibition curator Mary-Kay Lombino describes how in 1948 Ansel Adams was hired to test the cameras and films. It marked the start of a tradition of contracting well-known artists to test Polaroid products, as well as extending product grants to artists in exchange for donations of their work to the corporate collection. This arrangement, with access to free equipment and materials, led to a burst in creativity and experimentation and helped advance the cameras and film. The immediacy of the Polaroid process encouraged photographers to manipulate and experiment with the film—experimentation that included the newfound ability for the average citizen to take images at home without anyone knowing or seeing the prints at the processing studio. 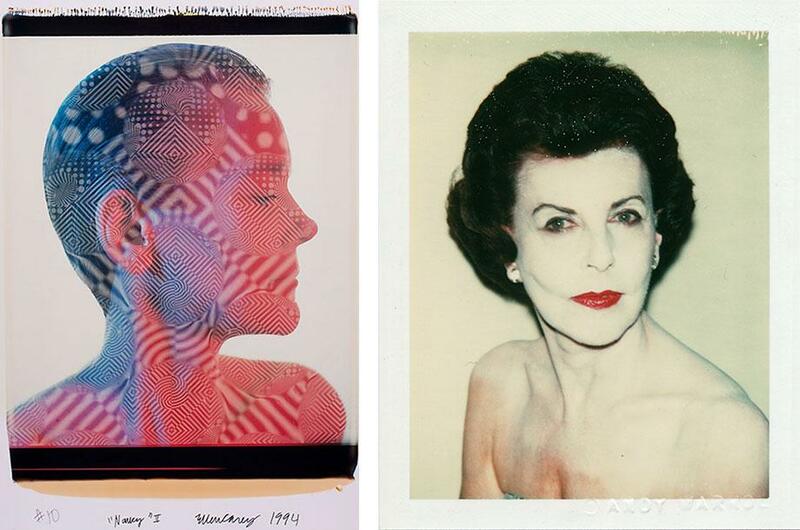 Left: Nancy D. Grover, 1995, large-format Polaroid ER print by Ellen Carey. Right: Emily Landau, 1981, Polaroid Polacolor 2 print by Andy Warhol. Left: Courtesy of the collection of Nancy D. Grover. Right: Copyright Andy Warhol Foundation for the Visual Arts. Courtesy of Frances Lehman Loeb Art Center. Left: Photo-Transformation, Feb. 1, 1974. Right: PhotoTransformation, Nov. 7, 1973. 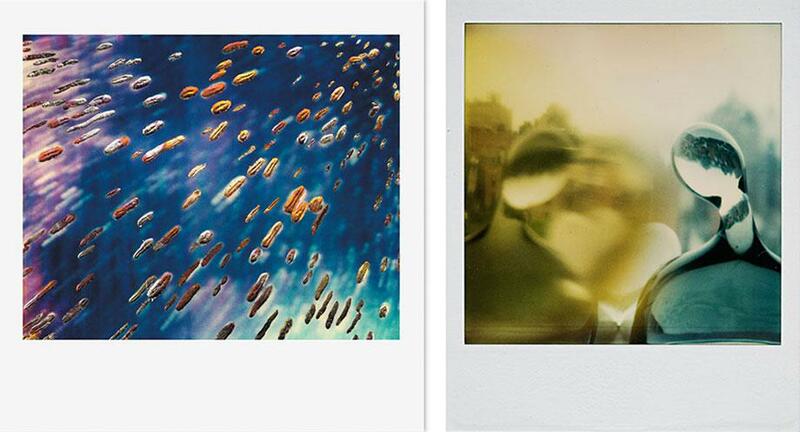 Both Polaroid SX70 prints by Lucas Samaras. Both images copyright Lucas Samaras. Left: Courtesy of Frances Lehman Loeb Art Center. Right: Courtesy of J. Paul Getty Museum. Left: Panorama, Nov. 1, 1984, a collage of Polaroid Type 808 prints by Lucas Samaras. 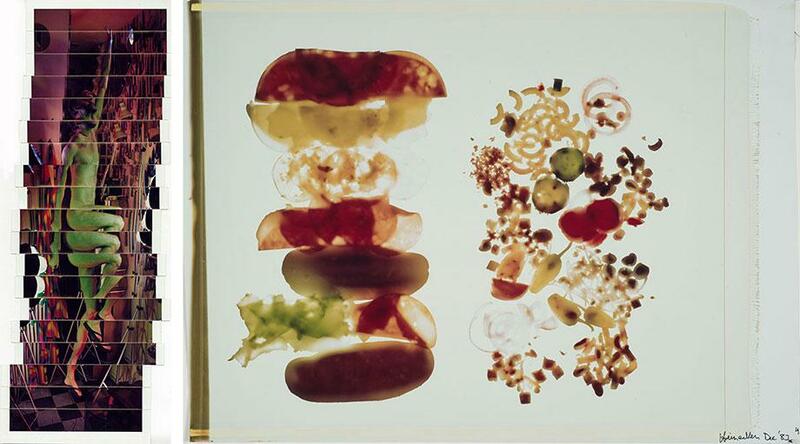 Right: Foodgram #4, 1983, a large-format Polaroid Polacolor print by Robert Heinecken. Left: Copyright Lucas Samaras. Courtesy of the artist and Pace/MacGill Gallery. Right: Copyright Robert Heinecken Trust. Courtesy of Frances Lehman Loeb Art Center. Statements from some of the artists featured in the book illuminate the effect Polaroid had on their processes. An exhibition accompanying the book’s release will be on view once again (after an initial run at Vassar College) at the Mary and Leigh Block Museum of Art at Northwestern University in Evanston, Ill. It opens Sept. 20. The book was published in May by the Frances Lehman Loeb Art Center, Vassar College, along with Delmonico Books and Prestel Publishing. Left: Stars in the Night, 1979, a Polaroid SX-70 print with paint by Joyce Neimanas. 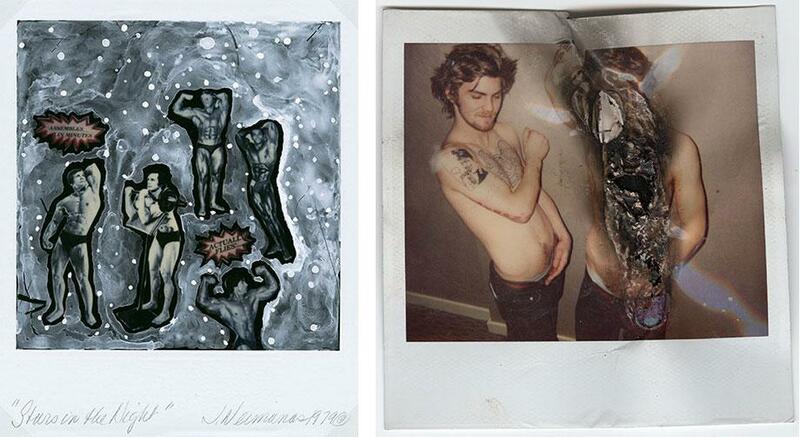 Right: Untitled, no date, a burned Polaroid print by Dash Snow. Left: Copyright Joyce Neimanas. Courtesy of the artist. Right: Copyright Dash Snow Estate. Courtesy of Dash Snow Archive. Left: Untitled, from “American Beauties” series, 1990, a large-format Polaroid Polacolor ER Land print by David Levinthal. 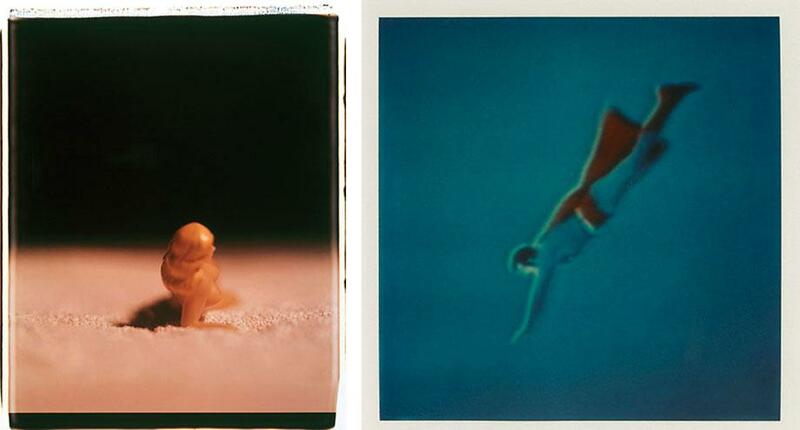 Right: Untitled (Superman), 1983, a Polaroid SX-70 print by John Maggiotto. Left: Copyright David Levinthal. Courtesy of the artist. Right: Copyright John Maggiotto. Courtesy of the collection of William Currie. 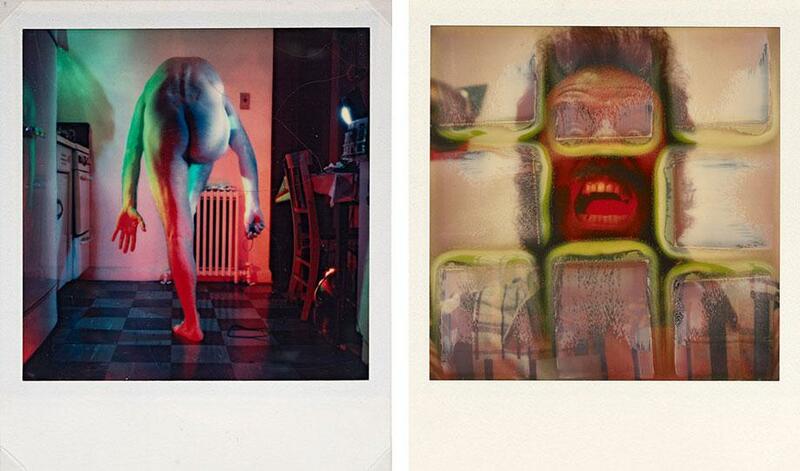 Left: Two Polaroids With Ink, Stacked and Cut, 2005, two Polaroid prints by Carter. Right: Coming and Going, from the series “Wild Sides,” 2008, Polaroid Type 600 Wild Sides print, by Grant Worth in collaboration with Mark Spalding. Left: Copyright Carter. Courtesy of the artist and Salon 94. Right: Copyright Grant Worth. Courtesy of the artist. 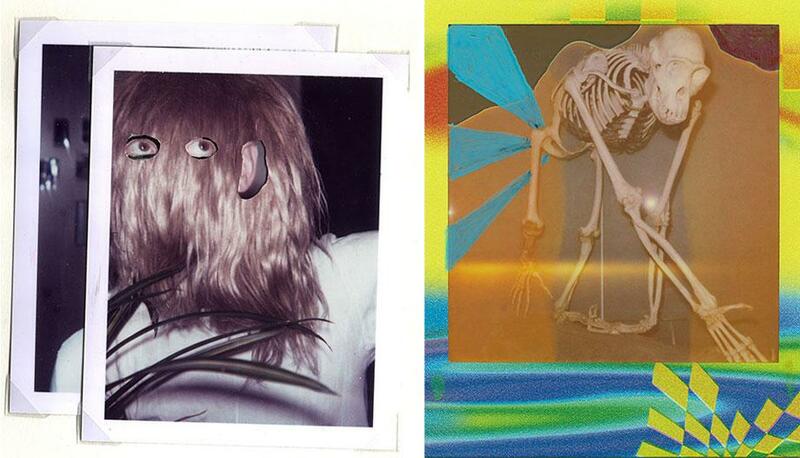 Left: Space Field, 1991, a Polaroid Spectra print with metal leaf by Victor Raphael. Right: October 24, 1979, a Polaroid SX-70 print by André Kertész. Left: Copyright Victor Raphael. Courtesy of the artist. Right: Copyright Estate of André Kertész/Higher Pictures. Courtesy of Frances Lehman Loeb Art Center.